Hello! 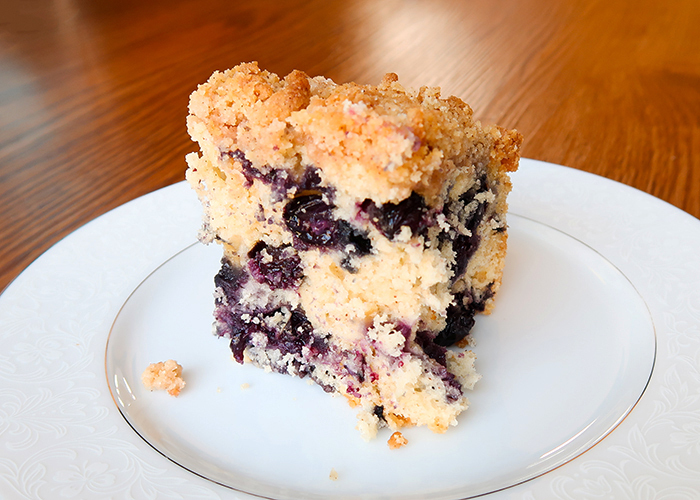 Today I’m going to show you how to make one of my family’s favorite summer recipes, this Blueberry Coffee Cake! 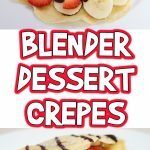 This is definitely not health food, but it’s a great way to use up blueberries that are getting slightly soft and it makes an amazing dessert or little treat in the morning. Let’s get started! Got more blueberries? Make this super easy berry trifle! To make the topping for this cake I highly recommend a pastry cutter. If you don’t have one, a fork or two knives will work as well, but a pastry cutter makes very quick work of making any kind of crumb topping. Preheat your oven to 350F. 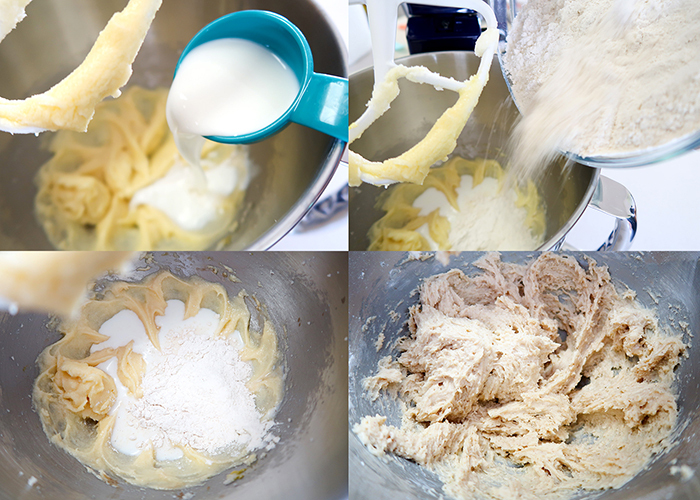 In the bowl of a stand mixer with the paddle attachment (or using a hand mixer) cream together the butter and sugar. Add the egg. And the vanilla extract. Mix until they’re incorporated. Now grab a medium size bowl and add your flour. Then add in your baking powder, salt, and cinnamon. 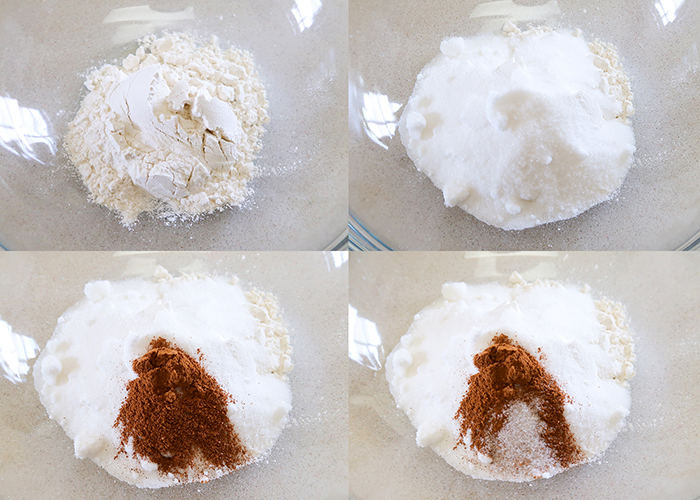 Stir the flour mixture with a fork to blend the ingredients. Next you’re going to start adding in your flour and your milk. Add in the milk 1/4 cup at a time, alternating with the flour mixture until you’ve used 3/4 cup milk and all the flour mixture. You’ll have a very, very thick batter. Now here’s my favorite little trick for making sure the blueberries don’t all sink to the bottom when you bake the cake. Put your 2 cups of blueberries into a bowl, and sprinkle a tablespoon of flour on top. 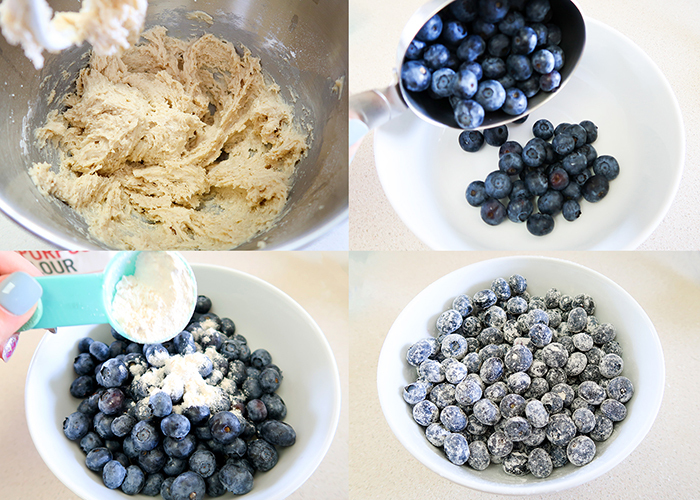 Use your hands and mix until the blueberries are coated in flour. This will help suspend them throughout the cake. 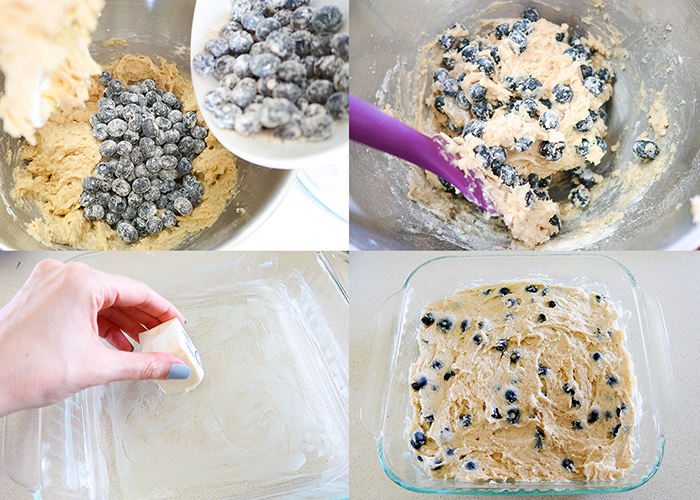 Add your blueberries to the batter, using a silicone spatula or a wooden spoon to gently fold them into the batter. Take a bit of extra butter and grease the bottom and sides of your baking pan. Mine is 8×8, but you can use a larger pan for a thinner cake if you prefer. Spread your batter evenly into the pan. Now let’s make the best part, the crumb topping! In a medium sized bowl, put your flour, sugar, cinnamon, and salt. Add in your cold butter. If using the fork or two knives method, I recommend cutting the butter into small pieces first. 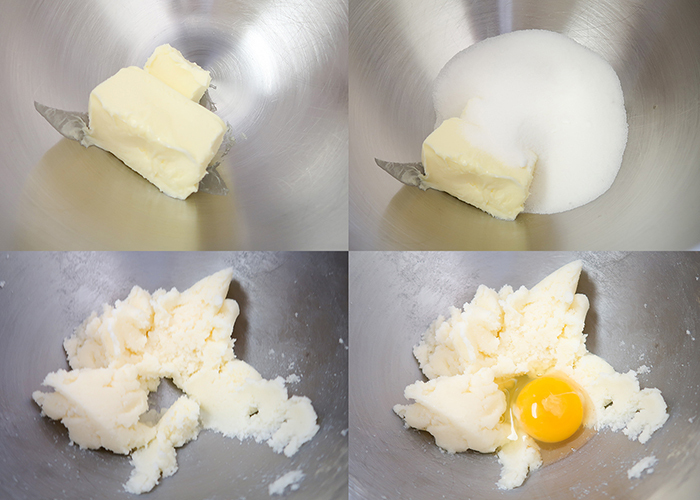 If you have a pastry cutter like above, then you can add the butter in whole. Work the butter into the flour mixture until it’s all crumbly. This takes a while, but be patient and you’ll get there. It’s worth the extra work! When it’s all crumbly, sprinkle it all over your cake batter. 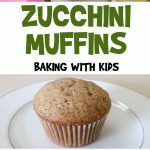 Pop it into your oven and bake for 40-50 minutes until it’s browned on top and a toothpick comes out clean. Let it cool for about an hour before cutting into pieces. 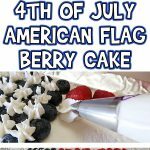 See how that little trick with the blueberries kept them suspended throughout the cake? 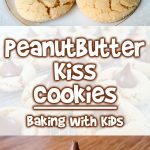 This is one of my family’s very favorite desserts so it rarely lasts more than two days, but it can keep 3-4 days in the refrigerator. I always recommend refrigerating baked goods that contain berries during the summer. 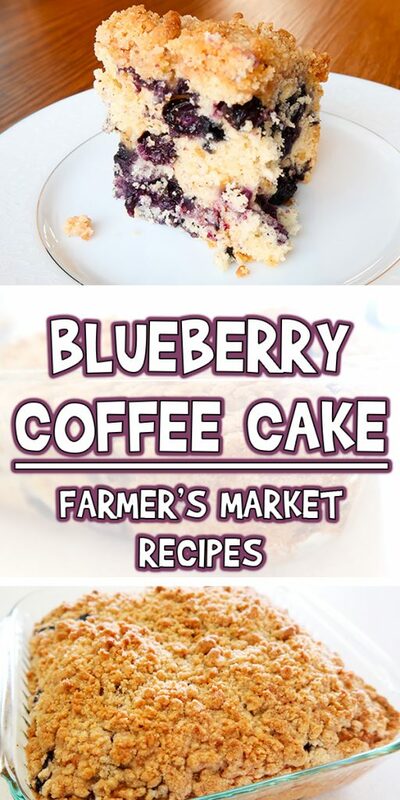 I hope you enjoy making and eating this blueberry coffee cake as much as I do! 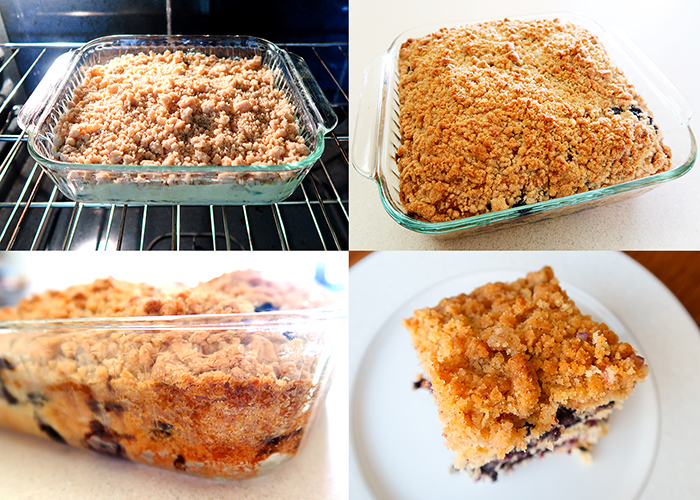 Today I'm going to show you how to make one of my family's favorite summer recipes, this Blueberry Coffee Cake! 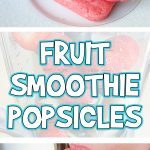 This is definitely not health food, but it's a great way to use up blueberries that are getting slightly soft and it makes an amazing dessert or little treat in the morning. Preheat your oven to 350F. 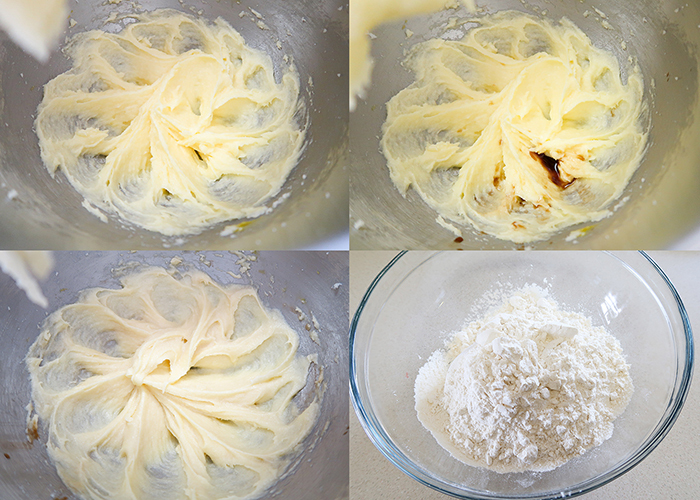 In the bowl of a stand mixer with the paddle attachment (or using a hand mixer) cream together the butter and sugar. Add the egg and the vanilla extract. Mix until they're incorporated. Now grab a medium size bowl and add your flour. Then add in your baking powder, salt, and cinnamon. 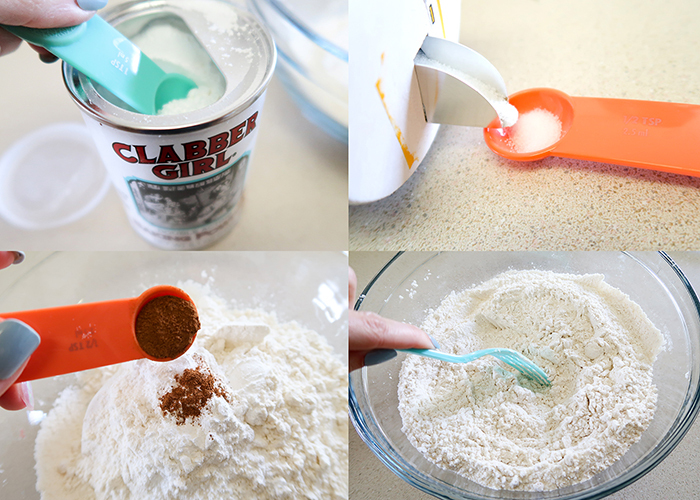 Stir the flour mixture with a fork to blend the ingredients. Next you're going to start adding in your flour and your milk. Add in the milk 1/4 cup at a time, alternating with the flour mixture until you've used 3/4 cup milk and all the flour mixture. You'll have a very, very thick batter. Now here's my favorite little trick for making sure the blueberries don't all sink to the bottom when you bake the cake. Put your 2 cups of blueberries into a bowl, and sprinkle a tablespoon of flour on top. 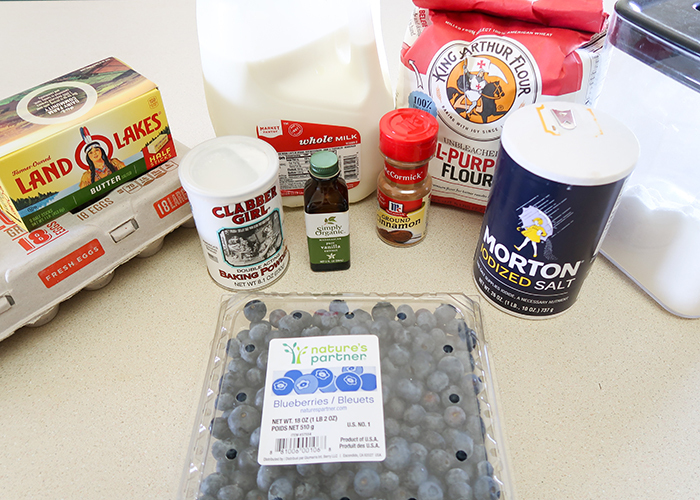 Use your hands and mix until the blueberries are coated in flour. 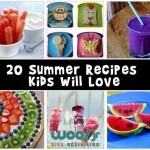 This will help suspend them throughout the cake. Add your blueberries to the batter, using a silicone spatula or a wooden spoon to gently fold them into the batter. Take a bit of extra butter and grease the bottom and sides of your baking pan. Mine is 8x8, but you can use a larger pan for a thinner cake if you prefer. Spread your batter evenly into the pan. 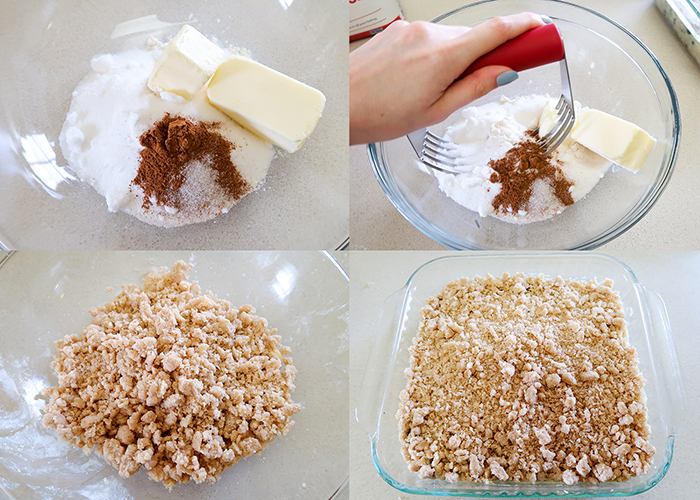 Now let's make the best part, the crumb topping! In a medium sized bowl, put your flour, sugar, cinnamon, and salt. Next add in your cold butter. If using the fork or two knives method, I recommend cutting the butter into small pieces first. If you have a pastry cutter like above, then you can add the butter in whole. Work the butter into the flour mixture until it's all crumbly. This takes a while, but be patient and you'll get there. It's work the extra work! When it's all crumbly, sprinkle it all over your cake batter. Pop it into your oven and bake for 40-50 minutes until it's browned on top and a toothpick comes out clean. Let it cool for about an hour before cutting into pieces. To make the topping for this cake I highly recommend a pastry cutter. If you don't have one, a fork or two knives will work as well, but a pastry cutter makes very quick work of making any kind of crumb topping. This is one of my family's very favorite desserts so it rarely lasts more than two days, but it can keep 3-4 days in the refrigerator. I always recommend refrigerating baked goods that contain berries during the summer. 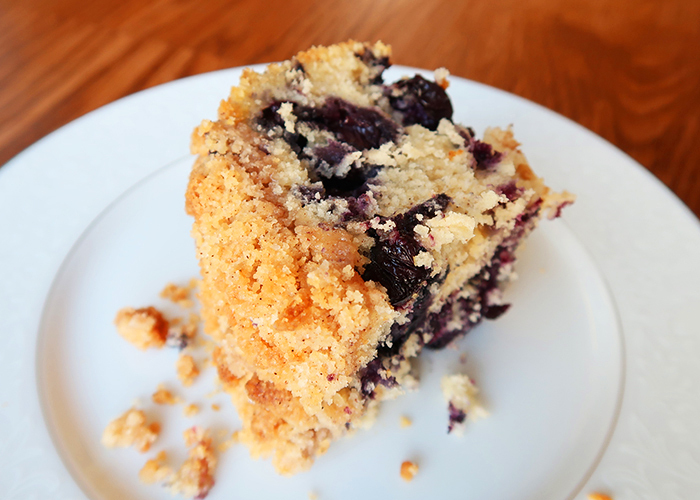 I hope you enjoy making and eating this blueberry coffee cake as much as I do!